Morpheus AGM September 17, 7:00pm! Morpheus Theatre is thrilled to announce the annual hosting of our completely obligatory, government mandated (via the Societies Act and our Bylaws) Annual General Meeting! We invite all interested parties, volunteers, artists, patrons, and curious onlookers to join us for this enthralling meeting where we summarize the activities of the past year (in 500 words or less), present the accounting of the financials, and elect the board of directors to another one year sentence. G&S JR REGISTRATION DEADLINE SEPT 1st! PROFESSIONAL THEATRE TRAINING FOR YOUTH AGED 9 TO 17! In October 2018 we will be continuing to offer both a Junior class for students 9 – 12 and a Senior class for students 13- 17. The program gives youth an opportunity to expand their acting skills and challenge themselves with the lyrics and patter of a Gilbert and Sullivan operetta. The Senior class will also include more advanced acting skills and choreography. Classes will include professional instruction in Acting and Voice, and the program will culminate in two youth performances on the set o f our mainstage production for their family and friends. They will work on a full set with lights, sounds, and costumes. Students enrolled in the program gain confidence & aptitude in their singing through learning the basics in choral singing: tuning, breath management, vowel formation, good diction, posture and facial expression using vocal warm-ups, exercises, and homework. The basics of musical sight reading will be taught, listening skills will be honed, and singing in harmony will be introduced. 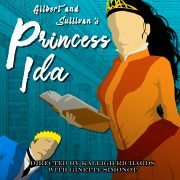 The fun, humour and drama of Gilbert and Sullivan is a great way for youth to be introduced to classical music. Group vocal lessons encourage teamwork and friendship, in a low stress environment! All students will also have the opportunity to try their hand at solo singing, if they so wish, and the learning environment created will be positive and constructive. ***No classes over winter break or holiday long weekends. Registration deadline: Sept 1, 2018! Click here to register online or call our office at (403) 246-2999.